It was difficult to prepare for a storm like Hurricane Harvey. When Harvey came ashore in late August of last year, few anticipated the widespread damage that would ensue. As a Category 4 hurricane, Harvey had maximum sustained winds of 130 miles per hour. These winds ripped through the coastal city of Rockport, Texas, and the city is still struggling to rebuild over five months later. 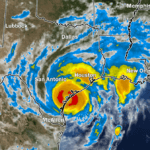 Although Hurricane Harvey dropped an unprecedented amount of rainfall, the hurricane force winds were what really crippled the city of Rockport. The city is still grappling with massive amounts of debris shaken loose from the storm. In the five months since Hurricane Harvey, the city of Rockport has hauled away 2.5 million cubic yards of debris, which accounts for one-fourth of all debris in Texas. This is astonishing considering only 100,000 people live in Rockport year round. The city of Houston, which is over 200 times larger, has removed just slightly more debris than Rockport at 3 million cubic yards. Unfortunately for the city of Rockport, there are still many piles of debris to clear. Local officials in Rockport have estimated it will take between three to five years for the city to completely rebuild. While Rockport didn’t receive as much rain as other parts of Texas, the rain it did receive in conjunction with high winds caused serious damage. For many property owners, the wind ripped off roofs, windows, and other structural components of property, creating openings for rain to cause water damage. Even for properties where there was no storm creating opening, water poured in through seals, vents and other building components and caused massive interior damage. Once rain reaches the inside of a property, it will require extensive restoration work to fix the resulting damage. Some buildings will need to be completely rebuilt. For business owners, overcoming the damage caused by Hurricane Harvey just might be too difficult. It is estimated one-fourth of businesses in Rockport damaged by Harvey will not reopen at all, due in part to the difficult and lengthy insurance claims process. Not only are insurance companies swamped with claims, they are also doing everything in their power to limit payouts. Many businesses don’t have the money to begin repairs themselves and it could take months before insurance companies pay out. This problem is compounded by the fact that water damage needs to be taken care of immediately to prevent the growth of black mold and other serious property damage. No property in Rockport was safe from the 130 miles per hour wind brought by Hurricane Harvey. 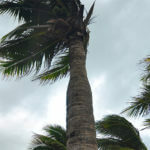 If your business suffered wind damage, you need to immediately contact an attorney. Insurance companies will do everything they can to avoid paying out large insurance payments. To get the rightful compensation under your policy, you need an aggressive and experienced insurance trial lawyer by your side. At Raizner Slania LLP, our insurance lawyers have taken on some of the largest insurance companies in the world on behalf of our clients. We are national leaders in insurance litigation and are proud to dedicate our time to helping Hurricane Harvey victims recover. If your property suffered wind damage during Hurricane Harvey, call us today to schedule a free consultation to discuss your case.